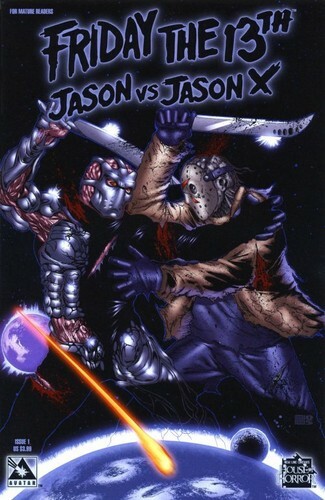 Jason vs Jason X Comic. A two issue comic book mini-series द्वारा अवतार Press. Picture shown is the regular cover for issue one.. HD Wallpaper and background images in the फ्राइडे द थर्टीन्थ club tagged: jason voorhees jason x uber jason friday the 13th comics books horror 2006.